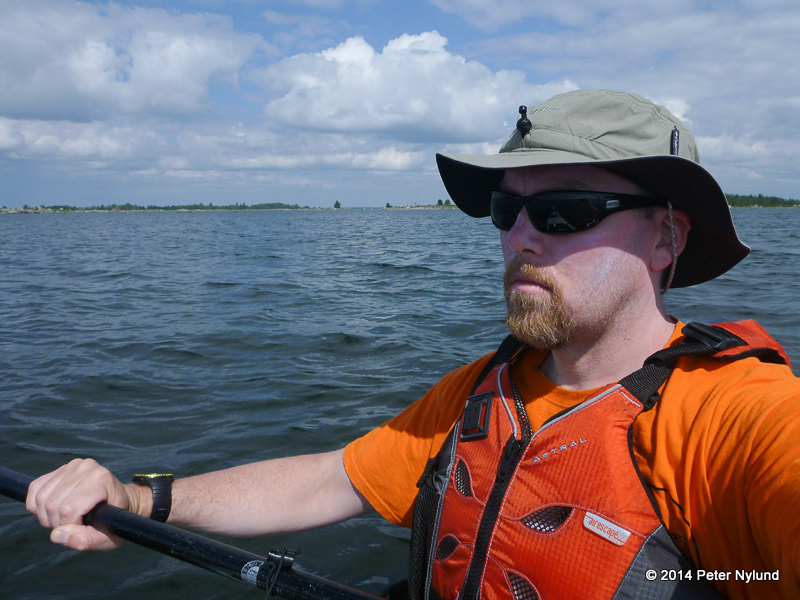 Longtime readers might remember that I bought a kayak in 2012, in order to start kayaking again. For some reason, it didn't happen in 2013, but now, in 2014, I'm back on the sea. 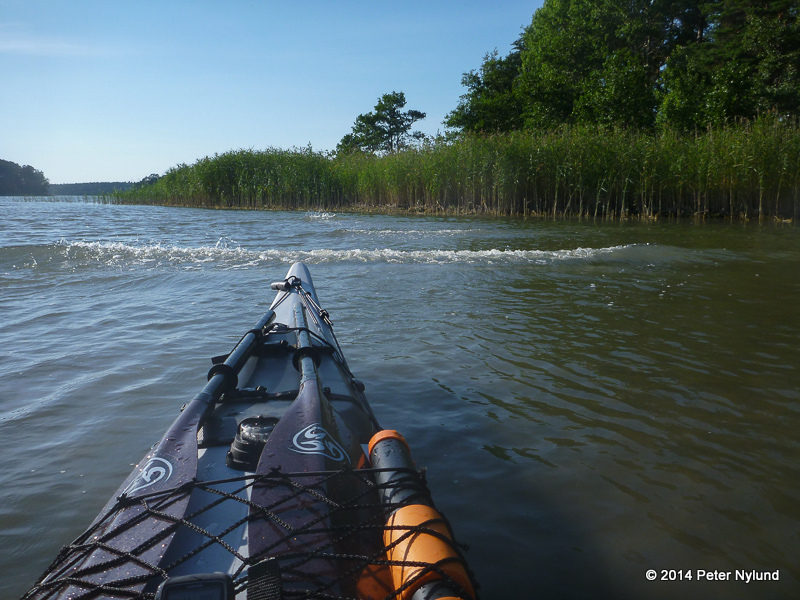 I started a little late, in June, but there is still a lot of kayaking season left. Much to my surprise, I made it on the first try, after not having done a single roll in eight years. It went more by brute force than finesse, but a little training should remedy that. 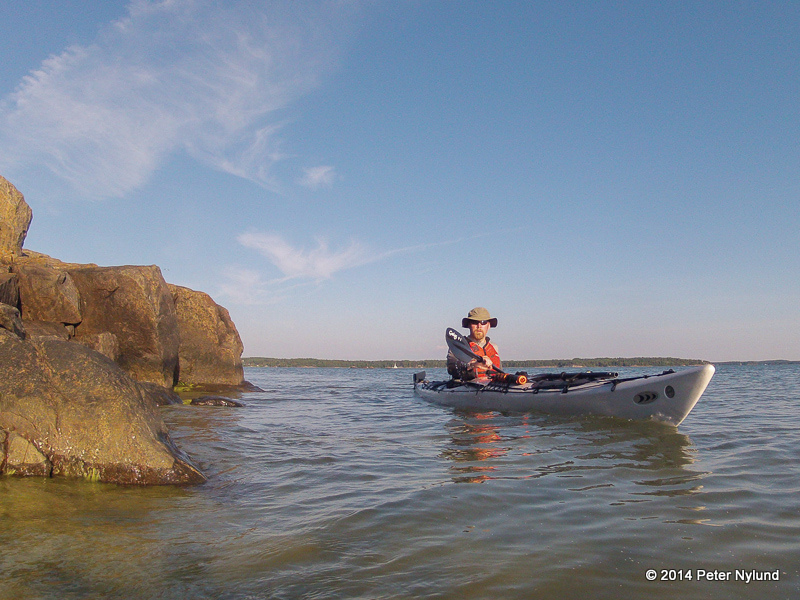 After the Kimito Island overnighter, which started my vacation, I've mainly kayaked instead of riding my bike. Mostly because I've been away from home with the family and when we returned home it was too hot for riding. 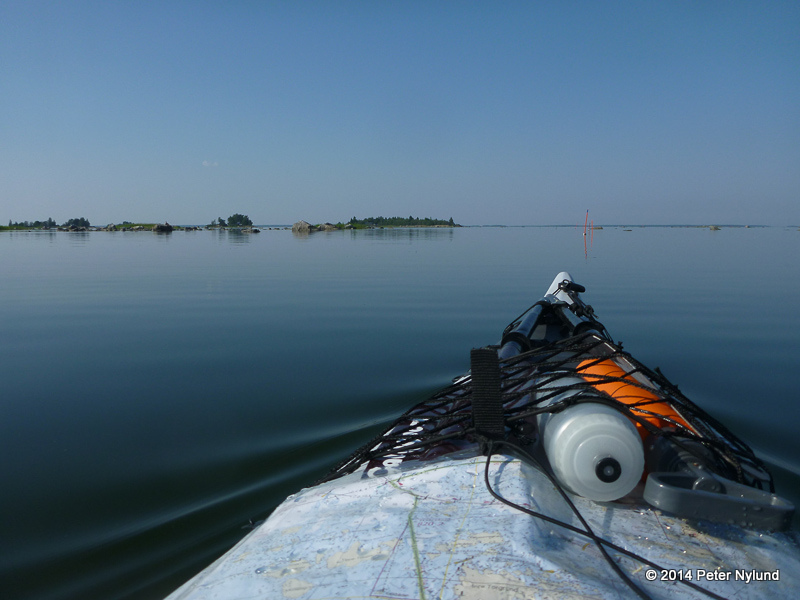 I tried the kayak in the very stony archipelago in Ostrobothnia, which was the main reason why I went with a bomb proof Prijon Kodiak kayak, the "fatbike of kayaks". 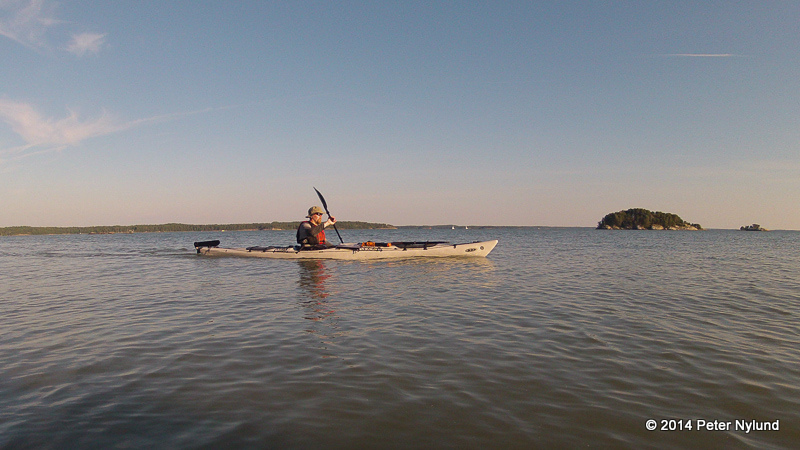 The family went with a boat to the island, while I took the kayak. Even with a kayak it was necessary to stay in the marked lane in a few places. Generally you try to avoid that, since you don't want to be in the same places as power boats. 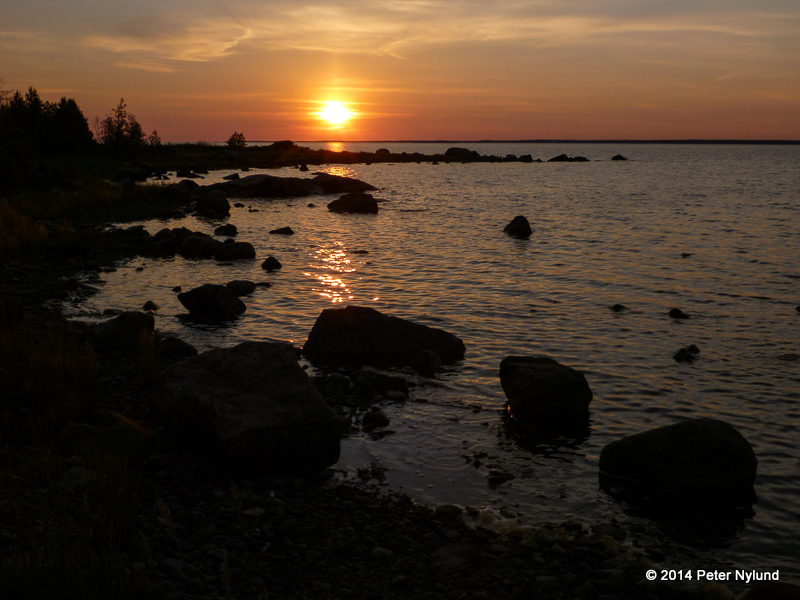 We spent four very nice days on the island, while I explored the rock labyrinths in the vicinity. I don't think I would have dared to go to all the places with a composite kayak. 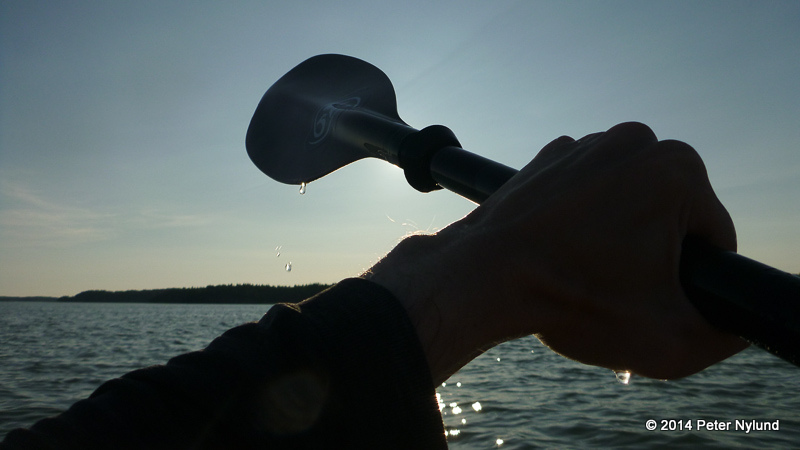 Back in Turku, after having spent another four days in Stockholm, I continued paddling, since it was now too hot for riding a bike in the woods, with temperatures up to 30C. 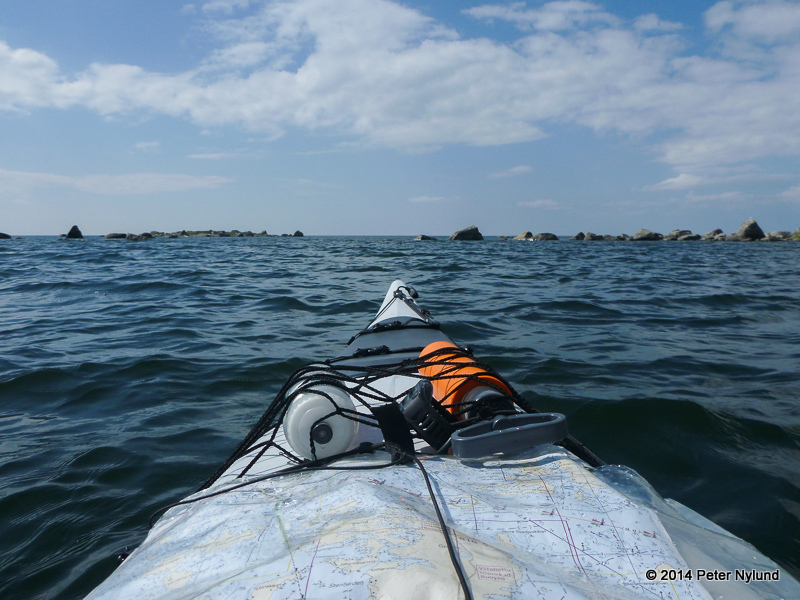 The closest waters are in my opinion rather boring to paddle on and in these cases a faster kayak might be nice. This would have to be a totally different type of kayak, though. 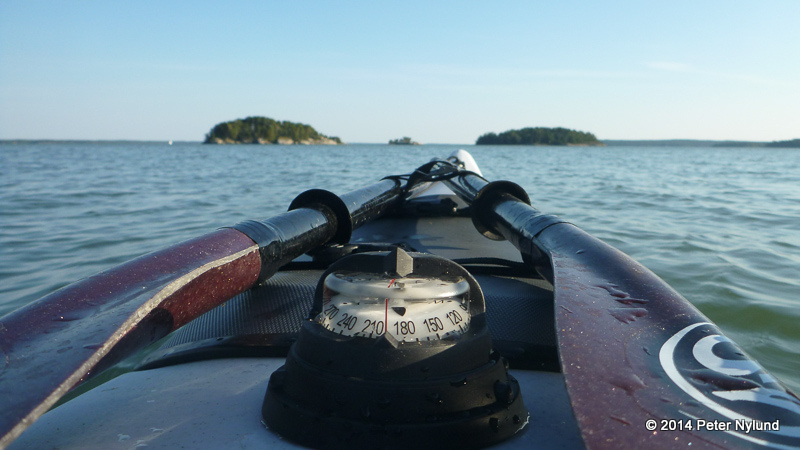 With the Prijon Kodiak, the 20 km trip around Hirvensalo went with an average of 8 km/h (might be faster without wind) and I don't think any sea kayak capable of longer trips would be significantly faster for me. 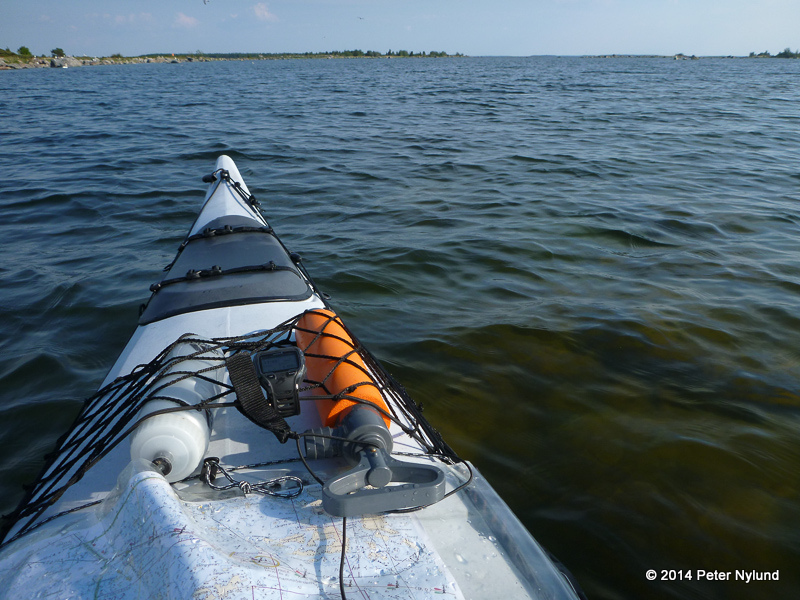 In anticipation of some upcoming trips, I loaded the kayak down with 25 kg of water, to see if it would behave differently (since you need to bring the drinking water around 40 kg of extra weight isn't unrealistic at all). 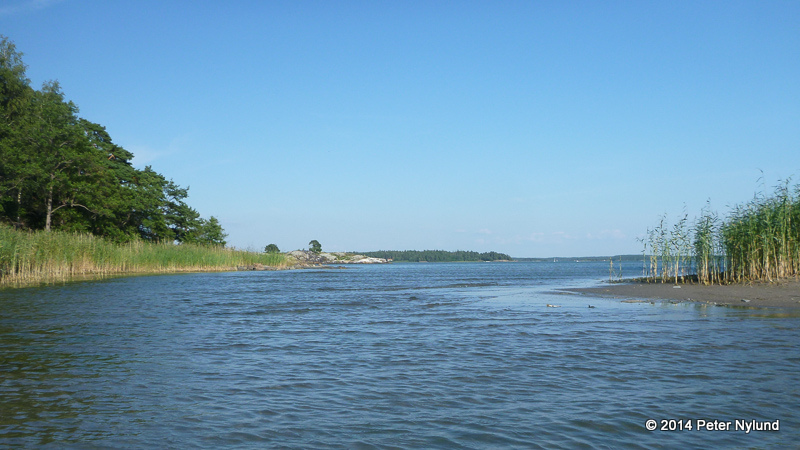 I barely got through here, since a sand ridge connected the two small islands just under the water surface. 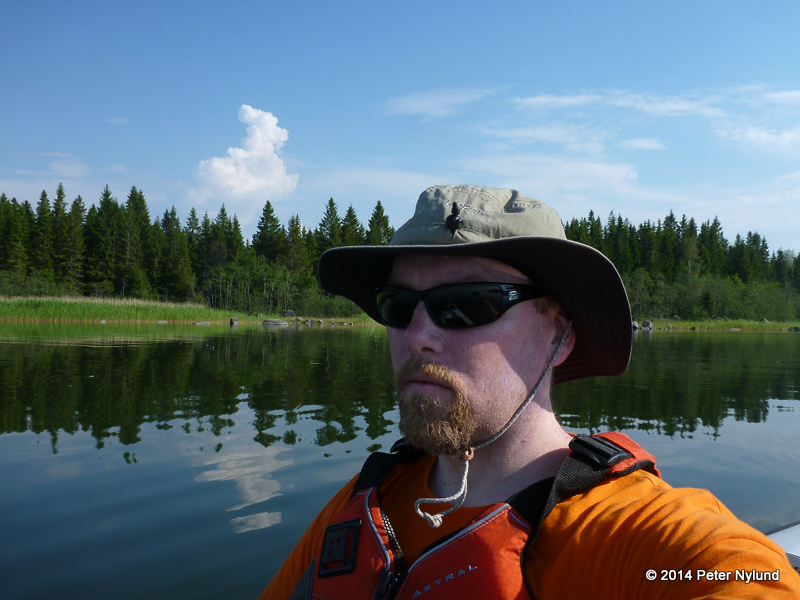 The paddling was a lot more interesting when I got out from the inner waters. 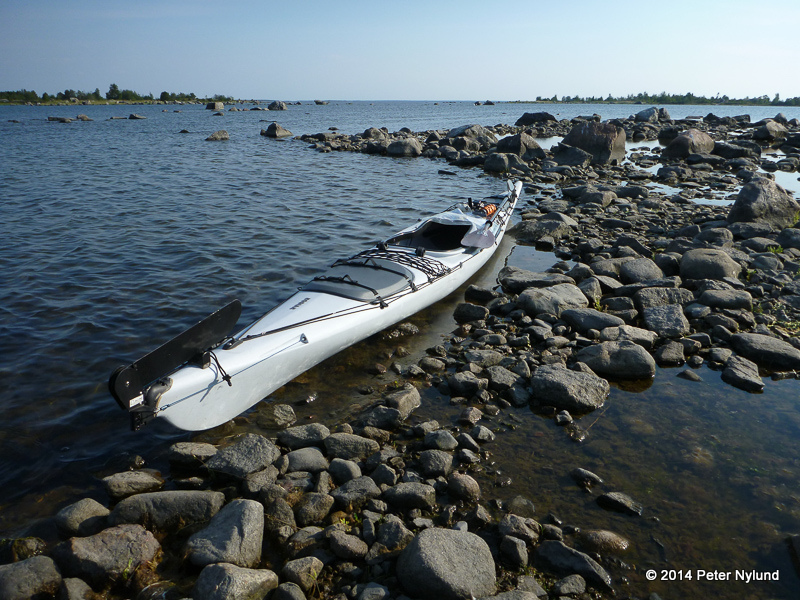 25 kg of extra weight didn't affect the kayak much. For the upcoming weekend I have a short two-night kayaking trip planned, which should be really nice in the continuing hot weather.